Dr. Rios initially received his medical degree from La Salle University in Mexico City, Mexico, and went on to complete his residency training in internal medicine at Emory University in Atlanta. Dr. Rios has been an integral part of Northeast Georgia Health System (NGHS) and Northeast Georgia Physicians Group (NGPG) since 1999. Dr. Rios currently serves as the chief physician executive for NGPG and also serves as the Chairman of the Georgia Board for Physician Workforce. 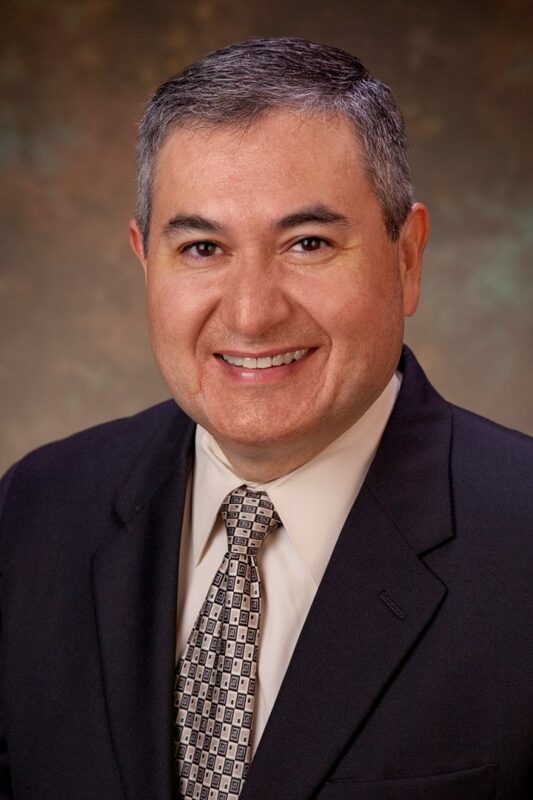 Dr. Rios wholeheartedly supports NGHS’ Quest for Excellence by serving on different committees such as the Physician Leadership Team, Finance Committee, Practice Review Committee, and as the former Chief of Medicine. He selflessly gives back to the community by volunteering his time at the Good News Clinics to provide healthcare for uninsured patients of Hall County. Besides being a busy clinician, administrator and a family man, Dr. Rios teaches and mentors medical students from both allopathic and osteopathic medicine, physician assistants and nurse practitioner students from a variety of schools including Mercer University, Georgia Philadelphia College of Osteopathic Medicine, Emory University and Kennesaw State University.